Sleepwalking is a condition characterized by people roaming around and performing simple actions (and very occasionally more complex ones) while still in a sleep state. Sleepwalking is far more common in children than in adults, with some estimates suggesting that 10-15% of children are susceptible and will sleepwalk at some point. No one is exactly sure why somnambulism is more prevalent in the youngsters compared to the adults--the scope of suppositions range from immaturity of the central nervous system to sleep deprivation. Although sleepwalking in and of itself is not harmful, per se, it can have disastrous consequences. When in such a state, people are not at all aware of their surroundings. This can lead to accidents as innocuous as a slight bump and abrasion or as serious as broken bones and death. Somnambulists may wander into dangerous places or, as we considered at the beginning of this article, fall from extreme heights--without ever realizing that they have endangered themselves. In the case of Rachel Ward, a well placed bush and a great deal of luck were the only things keeping that story as a funny little subplot in her family’s life instead of a painful memory. 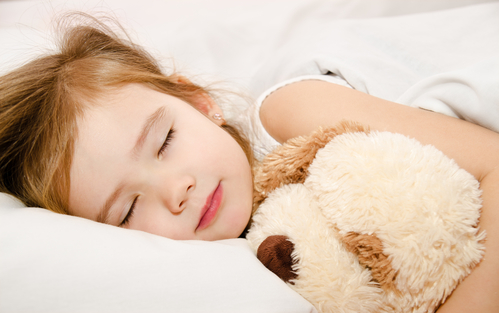 Sleepwalking can prove even more perilous for children. Kids are smaller, easier to break, and far less likely to understand what has happened if they chance to wake up outside of their home with no recollection of how they got there. An adult who wakes up in the middle of a sleepwalking episode can have a hard time processing the situation. A child subjected to the same thing may not have the capability to comprehend what has happened. If you suspect that your child may be experiencing sleepwalking episodes, there are a few things you can do to minimize the impact on the child. First off, make sure that their bedrooms are free of obstructions, sharp objects, and easily breakable things that may hurt them if they sleepwalk into them. Lock doors and windows to help prevent escapes from a semi-conscious person. Try to avoid serving your child caffeine in the afternoon and evening, as it can contribute to the problem. You may also wish to push bedtimes up an hour, to give your child extra sleep (as exhaustion has been linked to sleepwalking). The Children’s Clinic is a professional association of pediatricians that have been providing the people of Tennessee with quality care for decades. Our highly qualified staff offers compassionate, personalized care from birth through the teenage years. You can reach us by calling 731-423-1500 or via our website. Older PostAvoid "That Old Sports Injury"